A low level of pollutants has been detected in the City of Gaylord's municipal drinking water. State environmental officials tested the municipal water for PFAS at three sites in the city. A small amount of the chemicals was detected at one site, but nothing was found at the other two sites. “It means ... that our water quality here in the city of Gaylord is very good," says City Manager Joseph Duff. PFAS testing results from the City of Gaylord. PFAS compounds are often found in firefighting foam, and high exposure has been linked to health problems like cancer. The EPA says PFAS levels are safe below 70 parts per trillion. Only two parts per trillion were found in Gaylord’s water. "We’re well below the thresholds," says Duff. "So we feel our water is very safe to drink." Duff says the city is not required to take any steps to get rid of this low level of contamination. He says a notice to the public went up on the city's website Tuesday. Michigan PFAS Action Resonse Team is currently testing water statewide in municipalities and schools. 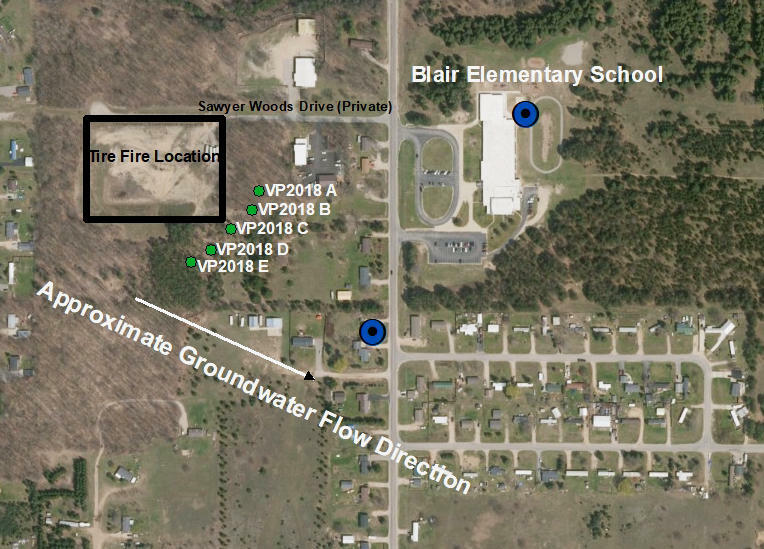 In northern Michigan, PFAS have been detected around Camp Grayling and low levels of the chemicals were also found in Blair Township in Grand Traverse County. Test results are pending for most other northern Michigan communities and testing has not yet begun at others. People in Blair Township are now dealing with PFAs contamination. On Friday, twelve households started getting bottled water at the township hall. That’s after contamination was found in wells this week. PFAs are found in things like fire-fighting foam and are linked to cancer.